Courtesy of TURNER REALTY, INC..
Old Style Florida Ranch!!!!! Outdoorsman’s Paradise !! 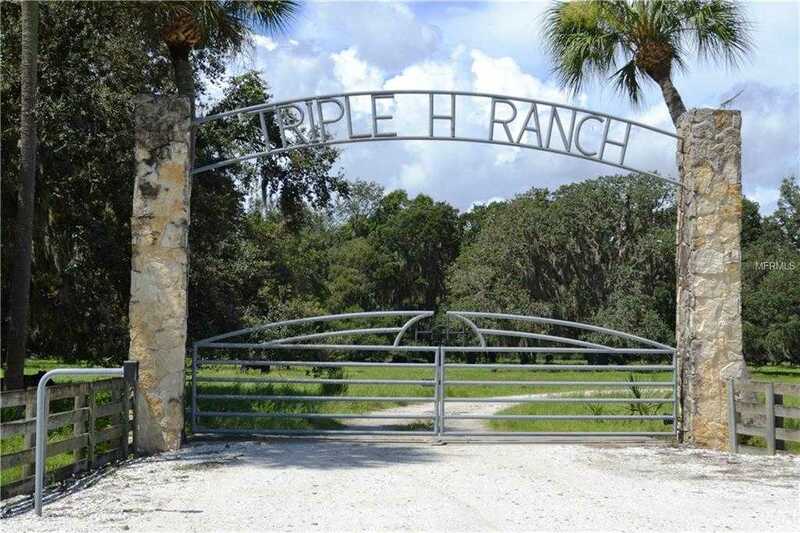 800 acres of land consisting of improved pasture, uplands, wetlands,palmettos, native pines, planted pines and beautiful Oak Hammocks. Several ponds scattered about make for perfect afternoon fishing entertainment. The Crown Jewel is the Magnificent Lodge and bunkhouse with panoramic views of lush green pastures dotted with 13; numerous species of wildlife including Florida Whitetail deer, Osceola Turkey, various water fowl and Brangus cattle. 13; The lodge has 5 bedrooms, 5 bathes, and a bunk house with separate entrance, small kitchen and bath making it the complete package 13; for your guests. Floors and ceilings are beautiful solid pine with exception of bathes and mud room. Great room features soaring 13; ceilings and a huge stone wood burning fireplace. Wood cabinets, solid surface countertops and Viking appliances compliment the large kitchen. Wrap around porches on 3 sides great for enjoying your morning coffee while watching the wildlife or relaxing in late afternoon while others enjoy the sparkling refreshing swimming pool. The Bunkhouse/Game Room has several beds and large pool table . 13; Integrated generator with 1000 gallon diesel tank runs entire Lodge in the event of a power outage. The Lodge is appointed with 13; beautiful furnishings throughout. This particular area in known for abundant wildlife and phenomenal hunting. You must see to appreciate all the property has to offer. Call today to set up your appointment!!! Please, send me more information on this property: MLS# C7403456 – $6,900,000 – 9557 Nw Lily Ave, Arcadia, FL 34266. I would like to schedule a showing appointment for this property: MLS# C7403456 – $6,900,000 – 9557 Nw Lily Ave, Arcadia, FL 34266.